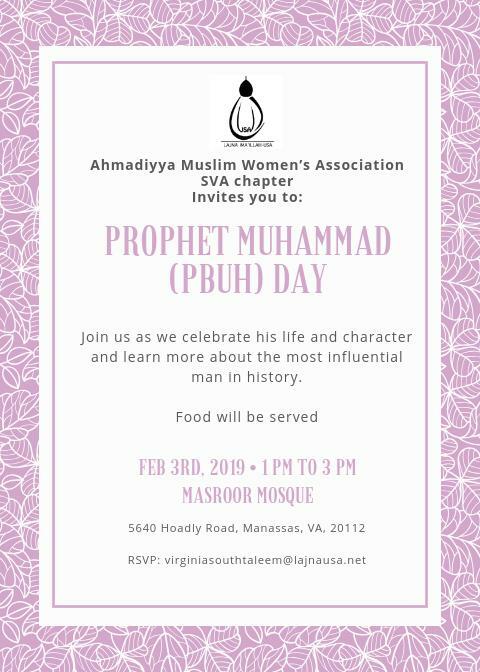 Ahmadiyya Muslim Women’s Association from Masroor Mosque, Manassas, invites you to Prophet Muhammad Day (peace and blessings be upon him). Program will be followed by lunch. 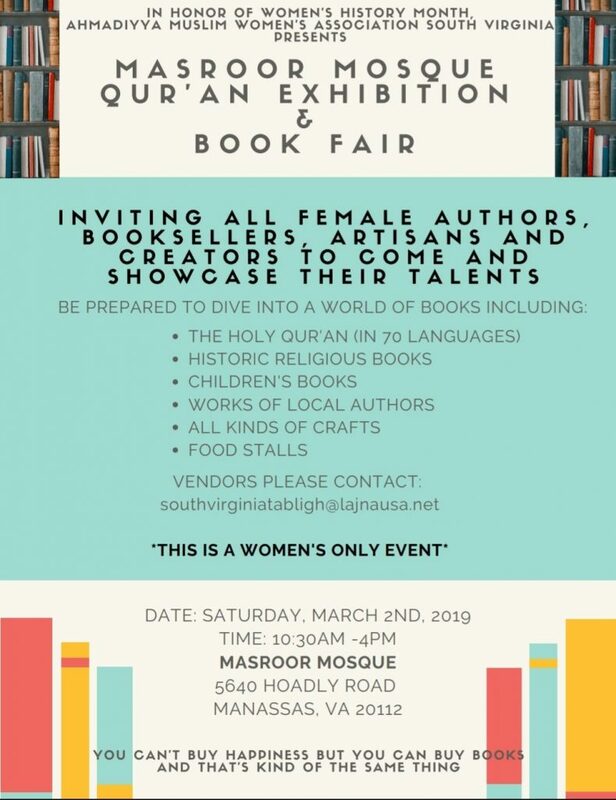 Join us to learn more about the noble life and exemplary character of the Prophet of Islam (pbuh).